Usage of executive summary templates contains relevant information for the users compiling numerous reports that can be too tiresome to read. Template consists of headings that are clarified in an impeccable manner to get the desired decision without any hassles. 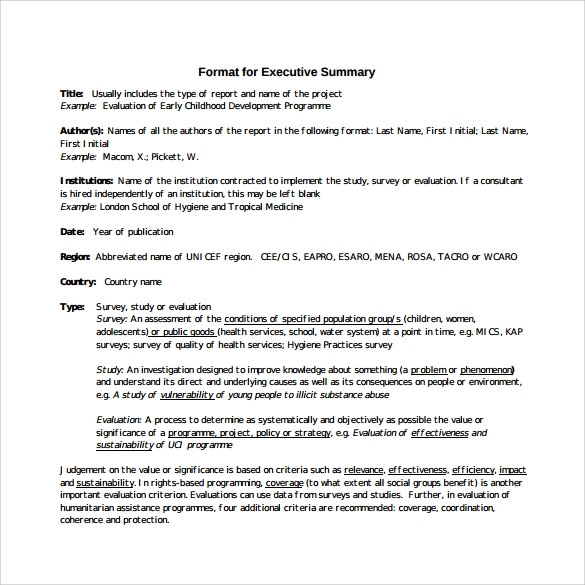 Executive summary documents can be downloaded in the form of a word or PDF format easily. 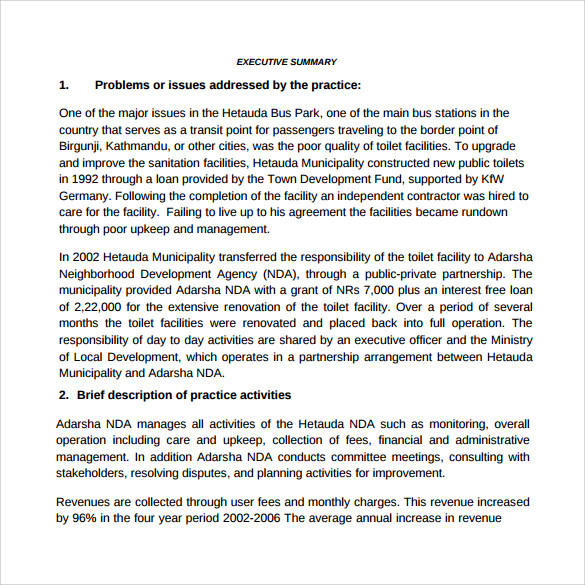 One can also conduct advanced editing of documents.You may also see Budget Summary Templates. Executive summary consist of information relevant to the performance of the company so that the investors have reasonable clarity while investing the money in the project. The presence of different sections that are available in a professional document makes it into an authentic presentation with accurate data to boot for the audiences. 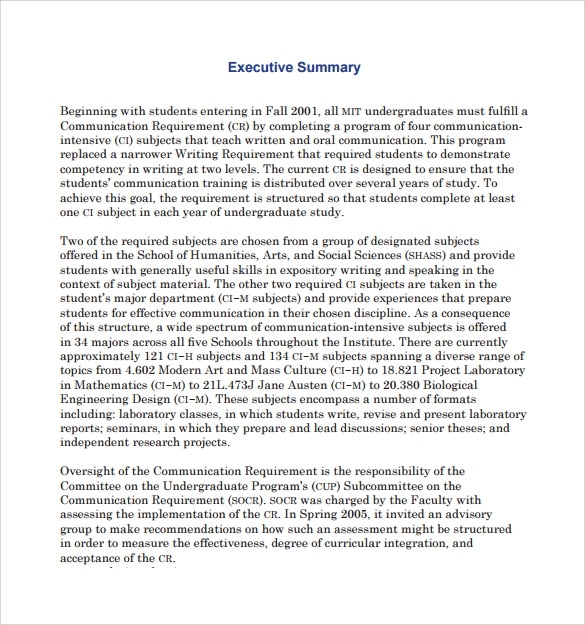 The executive summary template is formatted in the form of a paragraph consisting of the name of the project or the company and its objective. Plethora of information is bound to play an important result in taking the investment decision. Summary is concise and contains relevant points that could be looked at without any problem. It is vital to download and edit the documents according to the requirements and specifications. Since the format is available for free, the total expense in creating the presentation would be lower when compared to the one created from scratch. It is an amazing tool making the job easier for the executives. 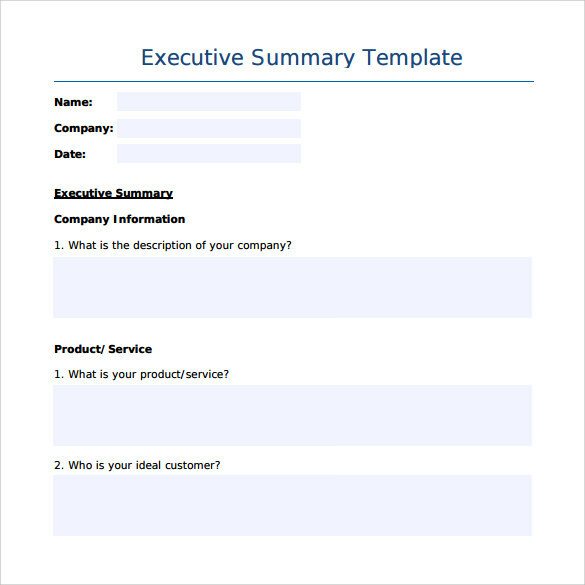 The executive summary template can be used for print and distribution among the business colleagues to take a sound decision. It contains headings defining the purpose of the project and ways in which the local partnerships would be created. The detailed problem statement is defined by the template according to the requirements of the users. For startups looking to attract the attention of the investors, executive summary templates prove to be ideal solutions for they provide the best results in an impeccable manner. 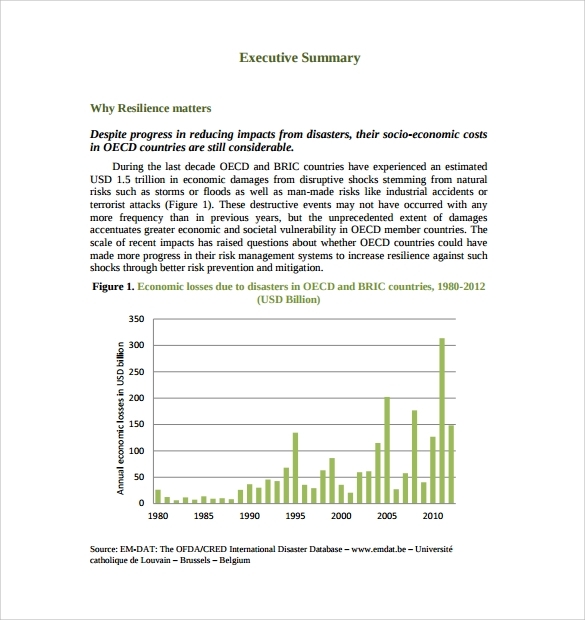 The structured and methodical format is the forte of the template that provides detailed information to the analysts. It also reflects on the pros and cons of the project that has to be undertaken. The data is essential to take the accurate and sensible decision from the long-term perspective. Professional style of presentation increases the chances of convincing the investors. Reinventing the wheel to design the executive summary is not required as templates have made the whole process cost effective. 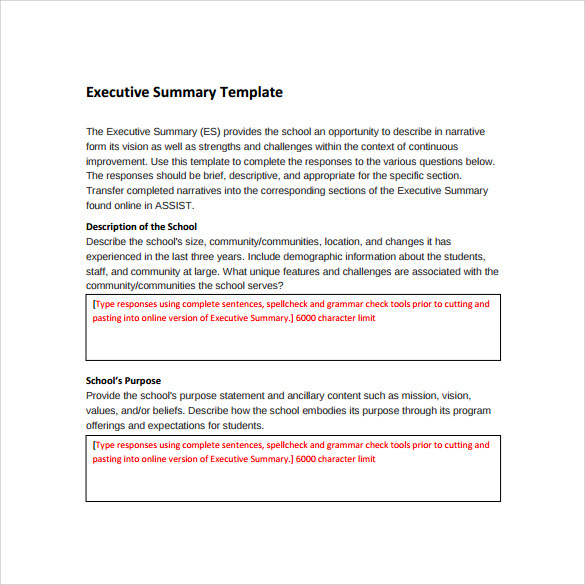 The executive summary template is used while designing the presentation for the investors. The format is attractive and the tone informal to strike a rapport with the readers. Concise and relevant content play a very important role in arriving at a correct decision. Usage of the template dramatically reduces the expenditure of the enterprise. It is useful in situations when the proposal has to be created quickly and effectively. The outline is essential to make sure that the financial and operational aspects of the project are taken into account. People using the executive summary statement would be managers of the company when they meet with the board of directors for the fresh round of investment. It is a well-known fact that without documentation, investing in the project would be akin to cooking chickens before they hatch. 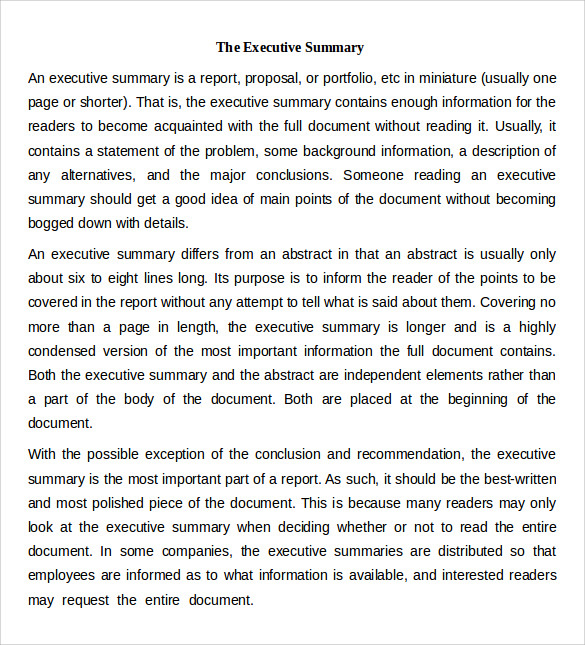 Due to the usage of the template, it is possible to design different types of executive summary according to the requirements. Textual content with relevant information plays a very important role in evaluating the profitability of the project. One can save lots of money on preparing executive summary statements that analyze the project in brief with relevant information to boot. Managers and executives can edit the text according to their preferences. Rather than getting the document designed from the professionals and wasting resources, download the template from the internet on a fly and create a presentation without any hassles. Since the structure is already available with the template, the user needs to enter the duration and the financial investment information required for the project. Usage of the readymade online templates has reduced the stress of the company and optimizes the business resources. It will go a long way in streamlining the expectations of the investors and make them more realistic. It is bound to create an everlasting impression on the investors and help you to win the deal.You may also see Job Reference Templates.